Pirates. Far more than the dastardly criminals of yesterday and today, they evoke immediate imagery in our brains. We link them to a host of things that have nothing to do with real pirates, yet the connection evokes a memory, such as a recent commercial for a migraine drug where a mother and daughter can finally play pirate. This book delves into this world, exploring historical pirates and their cultural allure. Divided into four sections, the first five essays focus on various aspects of “Pirates in History.” Antonio Sanna, the book’s editor, opens with “Historical and Fictional Pirates: A Review,” where he traces the historical origins of pirates to introduce readers to the topic and what to expect within the book’s pages, with particular emphasis on pirates – those who robbed, assaulted, and murdered victims at sea – during the buccaneering and golden ages of piracy (1660-1730). He also examines the evolution of literary pirates, beginning with the two most famous contemporary works of the period, The Buccaneers of America (1678) and A General History of the Pyrates (1724), to more recent depictions in novels, such as those of Rafael Sabatini, and in film. In “Piratical Societies as the Blueprint for Social Utopia” Clint Jones argues that from the pirates’ successful dominance of the seafaring world has grown a utopian mythology that allows us to set aside the irredeemable aspects of their behavior in favor of an ideal society not bound by the socio-economic inequality in which they and we reside. They established a society outside the one in which their victims lived, providing their comrades with an alternative to the world from which they came at a time known as the Age of Enlightenment. To support this argument he examines piratical articles of agreement and the pirate utopia of Libertalia (also known as Libertatia). The third essay in this grouping is Christopher Ketcham’s “A Pirate Business Model.” He demonstrates how pirates implemented what we define as common business practices to achieve success: goal setting, project management, risk management, and team building. 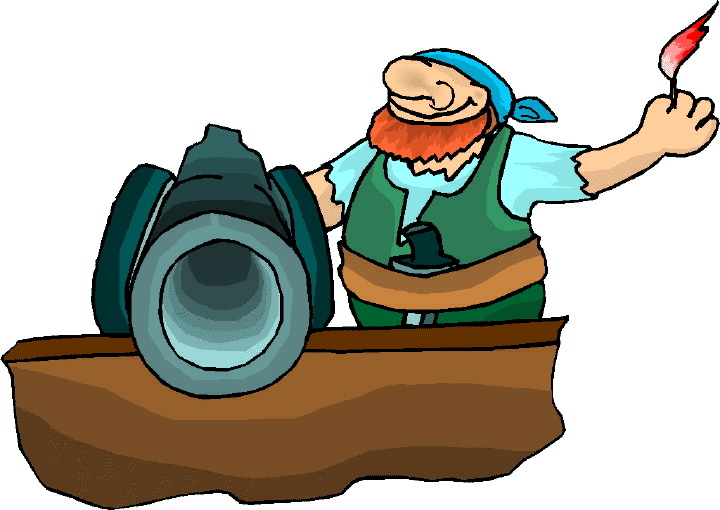 Then he suggests how modern companies might use this piratical approach to conduct their business. Nick Marsellas examines a subset of the pirate community in “Swashbuckling Sexuality: The Problem with Queer Pirates.” In the overall scheme of society, all pirates can be classed as a minority group because of their preference to live free of the state. Some pirates took this revolutionary behavior a step further in their sexual relationships. After reviewing the scholarly research on this subject, he argues that while some of these relationships were consensual, others were rapes and ponders whether that violence negates defining the relationship as queer. The final essay in this first section is “‘The Boy-Sublime’: Sir Lionel Lindsay and Piracy” by Jayson Althofer and Brian Musgrove. Their case study explores how a boy captivated by his reading of Treasure Island and the world of pirates impacted the art, literature, and politics of this Australian man at a time when his country was becoming a formal nation. Turning away from the historical pirate, the pirates in the second section of essays concern “Pirates in Literature.” Joan Passey leads off with “Sea-Wolves, Smugglers and Seascapes: Captain Cruel Coppinger and Criminality in Cornwall.” Here she separates folklore from history to demonstrate how maritime outlawry played a key role in Cornish identity during the nineteenth century. To illustrate her point, she focuses on the legendary smuggler, pirate, and wrecker Cruel Coppinger. Minke Jonk explores a Victorian novel written by William Clark Russell in “Piratical Identity, Antarctic Solitude and Stolen Treasure in The Frozen Pirate.” Published in 1887, Russell combined romance and the supernatural to craft a story that both condemns and condones piracy. Another essay that examines Victorian pirate literature is Eurydice Da Silva’s “Pirates and Orphans in Literature: From Victorian Boys’ Books to James Barrie’s Peter Pan.” She begins with the pirate histories written by Alexandre Exquemelin, Charles Ellms, and Daniel Defoe before delving into the fictional tales of Robert Louis Stevenson’s Treasure Island, John Meade Falkner’s Moonfleet, J. M. Barrie’s Peter Pan, and R. M. Ballantyne’s The Coral Island. She demonstrates these tales where orphans play key roles appeared at a time when the notion of family was being questioned and the British Empire was under threat. The romance genre has long been criticized, yet is one of the bestselling and most prolific literature types published. During the 20th century, pirates were extremely popular romantic heroes and Racheal Harris explores their depiction in “Really Romantic? Pirates in Romantic Fiction.” Using ten pirate novels published between 1972 and 2015, she focuses on tales where male pirates are the heroes to discuss plot devices and character tropes. She also looks at why pirate romances aren’t as popular as they once were. Antonio Sanna also contributes an essay in this section: “‘Yo-ho-ho and a bottle of rum’: Representations of Drunkenness in Literary and Cinematic Narratives on Pirates.” Alcohol and pirates have long shared a connection, and Sanna provides a historical overview of rum before examining its presence in various publications between the 1700s and today to determine the truth behind the piratical love of this beverage. In addition to literary representations, he delves into such portrayals in film to connect this section of the narrative to part three. The next section studies “Pirates in Cinema and on TV.” Michael Charlton explores “The Image of the Pirate in Adaptations of The Adventures of Tintin,” a series that first appeared in the 1940s in the comics, then was adapted for television in 1991 and for the movies by Steven Spielberg two decades later. “Masculine Ideal/Cultural Treasure: Long John Silver in Treasure Planet” by Sue Matheson focuses on Disney’s portrayal of this memorable pirate in the 2002 Treasure Planet and his role in helping Jim Hawkins become a man. She opens with Alexandre Exquemelin’s depiction of pirates in his narrative, Bucaniers of America, as well as Disney’s first adaptation of Stevenson’s novel in 1950. Two other notorious pirates are discussed in the next two essays: Tiago A. M. Sarmento’s “‘What would the world be like without Captain Hook?’: A Freudian Analysis of Our Love for (Anti-)Villains” and Susanne Zhanial’s “‘Take what you can . . .’: Disney’s Jack Sparrow and His Indebtedness to the Pirate Genre.” The former uses two of Sigmund Freud’s theories to review the various portrayals of Captain Hook, whose past as a good character gives way to his subsequent portrayal as a villain. The latter essay compares Sparrow to three pirate portrayals of the past: the Byronic hero, the Victorian villain, and the Hollywood swashbuckler. The last entry in this section is Jessica Walker’s “Civilization’s Monsters: The Doomed Queer Anti-Imperialism of Black Sails.” This television series is a prequel to Treasure Island and takes place in 1715. She demonstrates how heterosexual portrayals are linked to greed and abuse in the Colonies, whereas queer relationships mirror the freedom and adventure of pirate society. 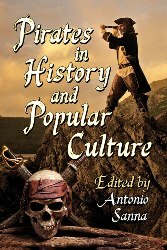 The final section of this volume looks at “Pirates in Other Media.” Alexandra V. Leonzini opens with an essay entitled “The Servant, the Sinner and the Savior: The Pirate in Early Nineteenth Century Italian Opera.” At the beginning of this time frame, operatic plots dealt with the hero’s rescue of the heroine from Barbary corsairs. By the end of the period, pirates were equated with revolutionaries. This essay explores how politics and peoples’ circumstances influenced these portrayals over time. Pirates have long been a part of childhood and it is this imagery that William Newton discusses in “‘Gay and brisk’: Constructing a Pirate’s Image for Children.” In addition to presenting a study of these representations, he proposes how museums might interpret these pirates in ways that will make sense to children of the 21st century. Each of the twenty essays in this collection concludes with a section of notes (if any) and a list of works cited. There is also an index that provides easy access to a topic. Pop culture changes over time, thus altering how we view pirates and their place in the world. The essays show these changes and introduce us to less familiar portrayals in an ever-increasing world where minorities play equally important roles as majorities. In the case of pirates, this is particularly true, for they have always been a minority when compared to society as a whole, even though their impact on our lives has been significant even 300 years after they threatened shipping during the most prolific period in piratical history. Readers need not be well-versed in the historical aspects of this period; the essays provide sufficient grounding for anyone to comprehend the matter under discussion. Some readers may find discussed topics uncomfortable, but the essays broaden our understanding and perhaps help us reexamine how we view real and fictional pirates. Most of us can spout examples of where and how pirates have invaded our daily lives, but few of us are familiar with the full spectrum of their portrayals in pop culture. This is what makes this volume an intriguing and informative addition to libraries that focus on piracy.